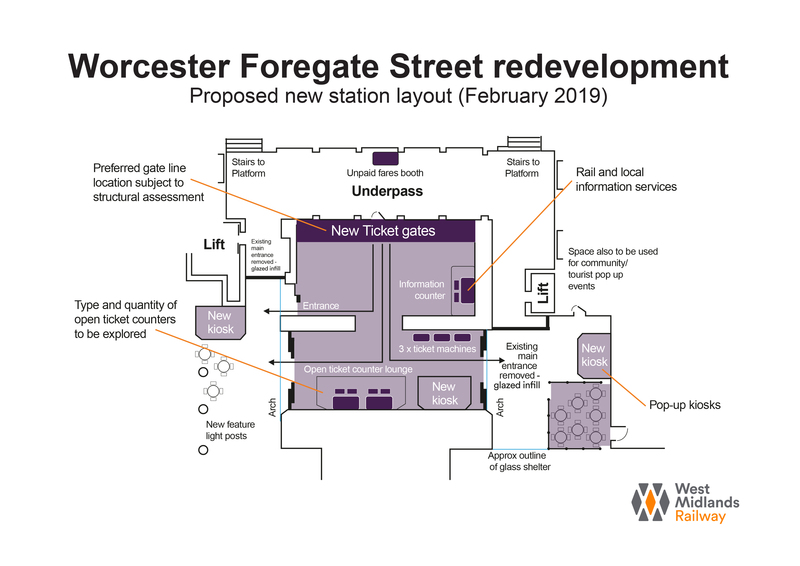 A number of improvements are planned, including the introduction of an automated gate line, new retail unit, additional ticket vending machines and new help points. Upgraded digital information screens are also set to be installed, along with a new CCTV system to improve security for both customers and staff. Up to 130 trains per day call at the station, serving over two million passenger journeys every year. While overall customer satisfaction at railway stations across the region is currently at 85%, we are committed to investing in station facilities to see that figure increase. The work is part of a £3.2m investment being made across our network to enhance retail facilities at stations. Please see the proposed plan for the redevelopment below and let us know your views using the feedback form.